To buy a marijuana grow box or to build one? That’s the question we’re going to look at today. But first let’s define what one is, for anyone new to the idea. 1 What is a Marijuana Grow Box? 2 Why Build Your Own Marijuana Grow Box? What is a Marijuana Grow Box? Photo credit: Directoryguru, CC BY-SA 3.0. A marijuana grow box or grow cabinet is a self-contained growing space, usually light and odor proof, fitted with everything you need to grow your plants—grow lights, ventilation, hydroponics system, reflective lining, temperature and humidity monitoring, etc. 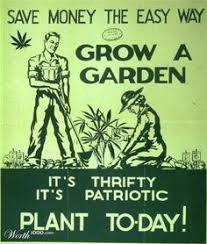 It’s generally intended for the home grower. However, unlike a grow tent, it is more of a permanent structure. As you can imagine, you can build your own from things like filing cabinets, closets, chests of drawers. Depending what you have to hand and how much growing space you have available in your home. But you can also buy a ready-made marijuana grow box very easily. Many of these will contain a hydroponics system (although some also allow growing in soil). They come in all different sizes, for all different budgets and incorporate various different levels of automation and technology. At the top of the range, for instance, you’ll find complete done-for-you turnkey solutions, high-tech cabinets and boxes where the growing is fully-automated. These are about as simple as marijuana growing gets. But although they’ll save you money in the long term, the upfront cost isn’t for everyone. Why Build Your Own Marijuana Grow Box? While a pre-made high-tech marijuana grow box will get you up and growing as quickly and painlessly as possible, they’re not always cheap. But that’s not the only reason why you might go the DIY route. If you’re someone who likes to grow your own, there’s a good chance you also like to build your own. Read on for some more reasons you might prefer to build your own marijuana grow box. Or buy one instead. You can build it to the exact dimensions of the growing space you have available. You have full control and choice over what components you add. Make it as expensive or as cheap as you like. Build from scratch or repurpose something you might otherwise have thrown away, like an old cabinet or chest of drawers. A simple, cheap DIY marijuana grow box can be great for a small grow. 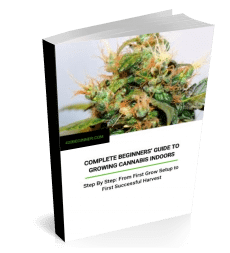 Can also be good for a beginner grower who wants to start small and get the hang of growing a single plant before committing time and money to larger growing projects. If you buy a marijuana grow box you know the components will work well together. You won’t end up with a grow light that’s too powerful for the box, for instance. Less time spent on trial and error making sure everything works together properly. More likely to be properly light and odor proof. You don’t want light leaking out and giving away what’s inside, nor leaking in when it’s supposed to be night time for your plants. And weed can get pretty pungent when it’s flowering. More expensive models almost entirely automate the growing process, making them the simplest and least time-consuming way to grow. Big yields with minimum effort. Automatic monitoring of your crop. If you’re not already good at building things, building your own marijuana grow box can take a long time and you might not be happy with the end results. Efficient use of space and power. A commercial marijuana grow box will provide the right amount of light for the space inside while not overheating your plants. The efficiency should save you money too over time. If stealth is a concern, most commercial grow boxes take this very seriously. Fans and pumps will be quiet, odor will be filtered, low heat, etc. No need to spend hours researching all the different components to make sure they’re all going to be suitable for your needs, fit the box correctly, etc. Wattage: How much electricity is it going to take to run it? 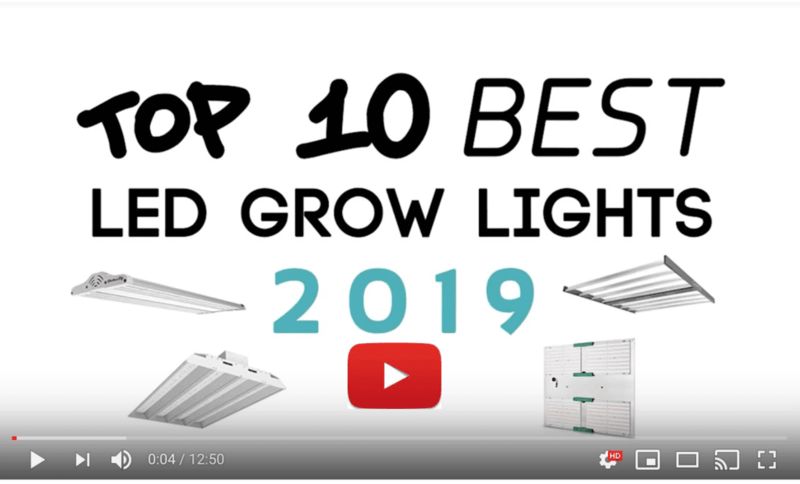 LED or fluorescent lights are ideal for confined spaces like a marijuana grow box, as they run cool, minimizing the need for additional cooling—which can also be noisy and increase your electricity bill. Of the two, LEDs tend to work out cheaper long term as they’re very efficient and long lasting. However, fluorescent lights can often be hung very close to your plants, so work well if you need your grow box to be short. HID lights are excellent for growing cannabis, but create a lot of heat so aren’t ideal for grow boxes. You’ll have to replace bulbs every year or two too. If you Google “build your own grow cabinet” or something similar, you’ll soon find instructions for making your own. YouTube has some great videos of ingenious marijuana grow box creations, too. But if you want a simple, foolproof, high yield grow setup, check out the three grow boxes below. All three are compact, discreet and excellent for beginners. From the outside, this marijuana grow box looks just like a locker. It wouldn’t be out of place in your garage, for example. But behind the lockable door you’ll find everything you need to grow up to 8 plants. Plus a separate, fluorescent-lit cloning chamber for seedlings, clones and small plants, so that you can keep a grow cycle going constantly to maximize number of harvests per year. Although it’s tall, it’s also narrow, so not too difficult to squeeze in between other units. As for the components; the grow light is from a top manufacturer (we’ve previously reviewed the K5). The ventilation system is quiet, filters odor and provides airflow evenly across the whole grow area. And the whole thing’s airtight and light-tight. It arrives ready-assembled. So all you need to do is plug it in (just one plug), fill the water reservoir, add nutrients, adjust the pH balance and you’re up and growing. A trellising system helps you train plants and increase yield up to 30%. Growing and monitoring is fully automated, with controls on the back of the door (i.e. discreetly inside the cabinet). Or if hydroponics isn’t for you, you can also grow in soil. It even comes with a nine episode video tutorial to get you growing from day one. If you want a marijuana grow box that blends in and needs minimal attention, this is one to put high up on your shortlist. SuperCloset is arguably the leading marijuana grow box manufacturer, so here’s another one of their award winning range. Much shorter, thanks to its CFL lighting system. Otherwise, we’re talking virtually the same specs as its taller sister. Like the SuperLocker it also allows you to grow up to 8 plants at a time. 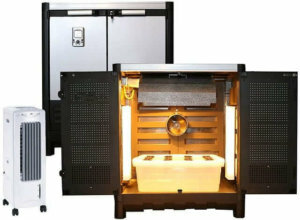 But if you need an automated compact marijuana grow box you can fit it in more or less anywhere (or at least anywhere a small safe wouldn’t look too out of place), then this is the perfect model. It’s also a bit more affordable than the SuperLocker. Here’s another affordable personal grow box for beginners. With space for 6 plants, it’s compact and economical and comes fully assembled with everything but the seeds. From the outside, it resembles a bedside cabinet or similar (except for the locking on the side). And as you’d expect, the stealth features aren’t just external. Inside there’s a carbon filter for odor control and a quiet ventilation system and hydroponics pump. It’s also light proof. 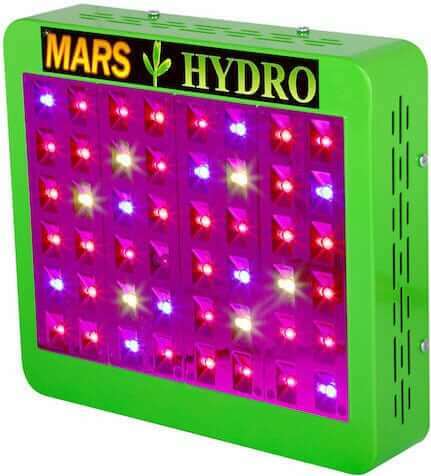 In its 5.0 incarnation Dealzer’s popular Cash Crop marijuana grow box has now upgraded from CFL fluorescent lighting to Dealzer’s own Quasar LED lights. So heat is still low and you can expect extra-low electricity bills. Another way in which it differs significantly from the similarly sized SuperCloset SuperBox CFL is in price. It’s an even more affordable model. But this is at least in part down to not having the same automation features. If you take a look at the instructions (PDF), though, you can see that it’s still easy to operate. Finally, it’s also available in two different heights in case you have a preference for taller-growing strains. A marijuana grow box is probably the easiest way to get started growing your own cannabis. It can also be the easiest, lowest-maintenance way period, if you go for one of the automated options. 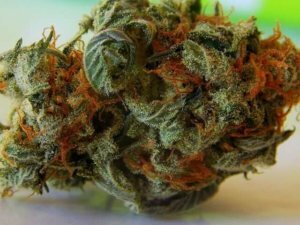 However, even a simpler, more affordable marijuana grow box can be an excellent way to just grow a personal supply in the limited space you have available. While the three grow boxes listed above are great for small grows and beginners, if you’re thinking bigger check out our round up of the best stealth grow boxes and cabinets. And if you’re still thinking about building your own grow box, hopefully we can help you with choosing some of the components, such as lighting, ventilation, hydroponics systems or temperature and humidity controllers. The Pc Grow Box XXL from pcgrowcase.com outperforms the three boxes you mentioned for half the cost. Already replenished my funds from my first harvest. Thanks for the tip. We will put it in the next review update.